One of India’s cargo industry’s most pressing problems are infrastructural deficits. Many warehouses and handling facilities look shabby and are equipped with obsolete technique, unable to meet international productivity standards. Are things starting to change? So it seems because airports are opening their gates, letting a fresh breeze in. If one goes by the projected demand of 6.5 million tons of air cargo by 2025, then the existing handling capacity of nearly 6 million tons will soon be far too little. Is there additional capacity being planned or built? - Yes, airports such as Delhi are the forefront of cargo capacity development. They recently inaugurated the cargo agent’s terminal - a modern 50,000 square foot warehouse which is leased to various players and situated close to the cargo terminal. But others have to follow suit, and fast. Indian carriers, especially Air India, are not benefitting much from the air cargo supply chain as most of the airlines flying export out and import into the country are foreign carriers. This simply because India has no own freighter airline and not enough long-haul belly capacity to be part of the game. Whether this will change remains to be seen. The government is too involved in transactions related to decision making processes, rather than looking at strategic policy areas such as determining the ratio of airport space devoted to cargo infrastructure as well as creation of a mandatory competitive policy for cargo and ground handling that will bring efficiency and cost effectiveness. This should be uniformly followed up upon by airports in India as done in the European Union in order to determine the maximum return on investment by cargo facility developers, handlers and other parties. The above statement was made at this year’s Global Aviation Summit Conference which was held in Mumbai. At the conference the Indian government unveiled their new air cargo policy which they say is aimed at placing India among the top five air freight markets by 2025. The 38-page document which makes interesting reading lists around twelve main topics to be acted upon in the future. These range from infrastructure, security, technology, and market strategy to human capital and performance factors. The paper goes even further by assuming that over the coming six years they will create efficient air transport shipment hubs at all of India’s most important airports. There is also an interesting paragraph in the new policy statement which say that the government will encourage interline and code share agreements between Indian and foreign carriers. The question remains as to which Indian carrier should be up front in such a move? 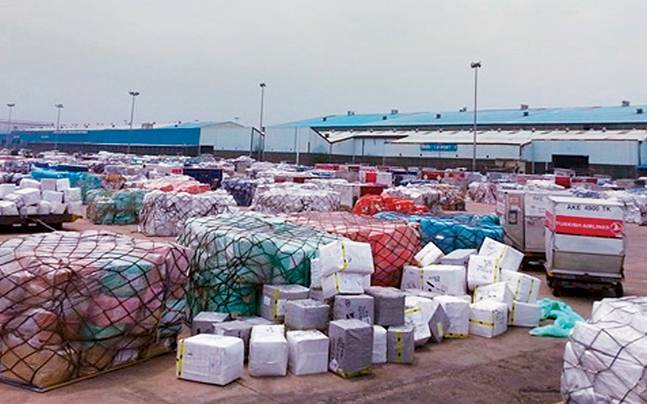 International air cargo shipments continue to grow in India. Last year showed an almost 16% rise compared to 2017 and domestic freight moved increased by 8%. The new air cargo policy document is well put together, but can the government policy strengthen air cargo growth and if so, where will the growth come from? A past study indicates that India’s air cargo volume is less than 0,5% of the total export and import freight while in terms of value it was less than 25% against the global average of 1,5% and 35%. India has a potential to grow more - but can it? The question arises as to whether India manufactures enough cargo which should be moved by air. Although a manufacturing country, its export record is quite patchy. Furthermore, it is producing many low-cost products. Pharma is currently the main commodity, but for various reasons the transport is moving more and more to ocean freight. How can they then attract more import cargo into the country? There is a large consumer market hungry for various international products and brands. The potential for import by air has not attracted the attention of the policy planners and so India does not encourage import cargo enough. Is this because studies have shown that import cargo into India ends up in huge costs compared to other global airports? Whilst many other airports have virtually zero tariffs for terminal handling if cargo is moved out within 7 hours of arrival, in India it costs around INR 10 (US$0,15) per kilo after the initial three-day free period. This might seem normal, but fact is that much cargo is not released or picked up for many days. Another negative factor are the cargo delivery charges levied by the airlines. This, many say, is one of the main reasons why importing by air is not an attractive proposition for many companies. This has to change if air cargo volumes are to increase in India. Secondly, India’s air cargo has always followed a cyclic pattern - 3 to 4 years of growth followed by 3 to 4 years of recession. It makes it very difficult to plan and estimate return on investment in new infrastructures on a long-term basis when such a cyclic pattern were to continue. There is some positive news in that various initiatives aimed at making processes simpler and ensuring that cargo moves faster are slowly bearing fruit. For example. 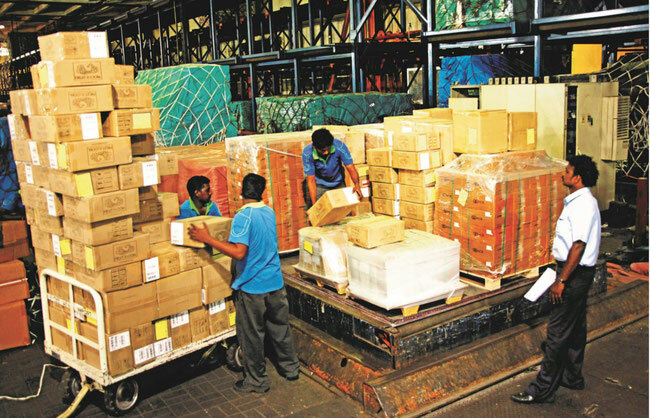 customs coordination and processes between the various agencies involved in the clearance of cargo have improved somewhat. However, there’s still much to be achieved if India’s airports are to become really competitive and meet users and consumers demands.